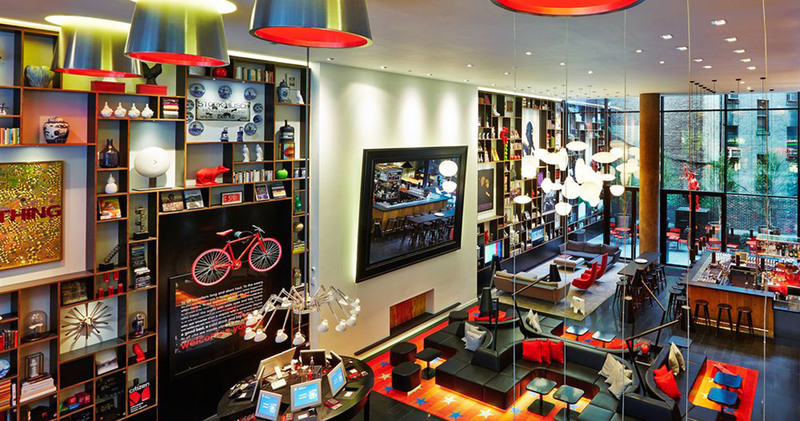 A cozy hotel with a contemporary twist, citizenM Hotel offers luxury accommodation with a difference. 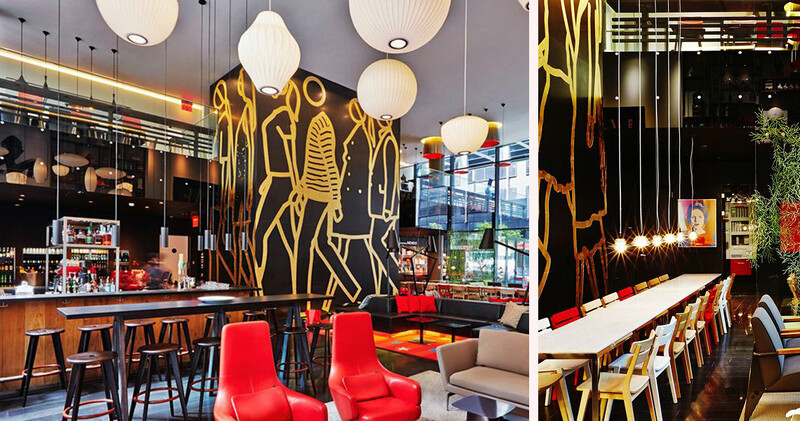 The interior of the citizenM Hotel New York is designed to reflect a home, but with a modern edge. 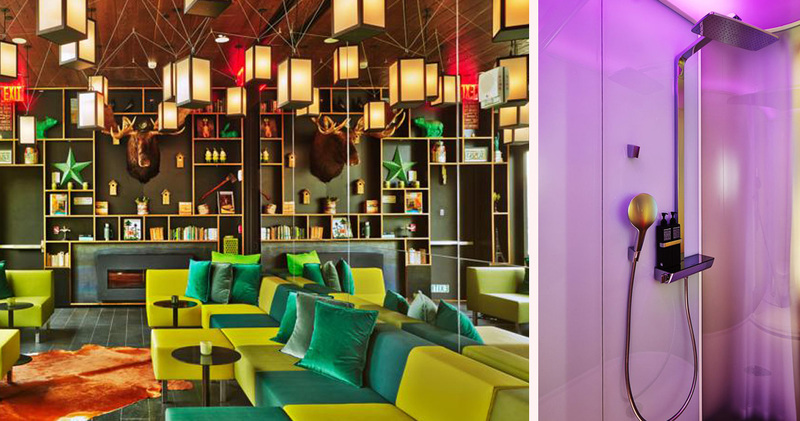 The spacious lobby is decked out to replicate a comfy living room, in which there is always something going on. 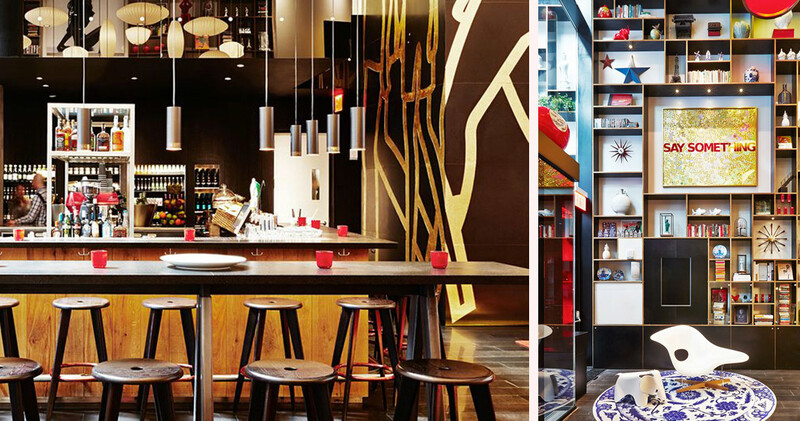 An inviting escape from the flurry of the city, guests can relax in a place of fine leather chairs, interesting books and magazines, and an array of exciting items from across the world. 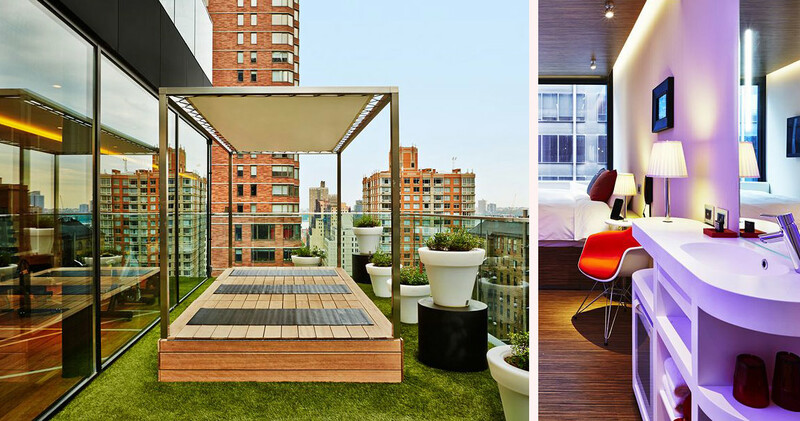 Unique for a Times Square hotel, citizenM also boasts bright outdoor terraces where guests can enjoy some green space and sunshine away from the crowds. 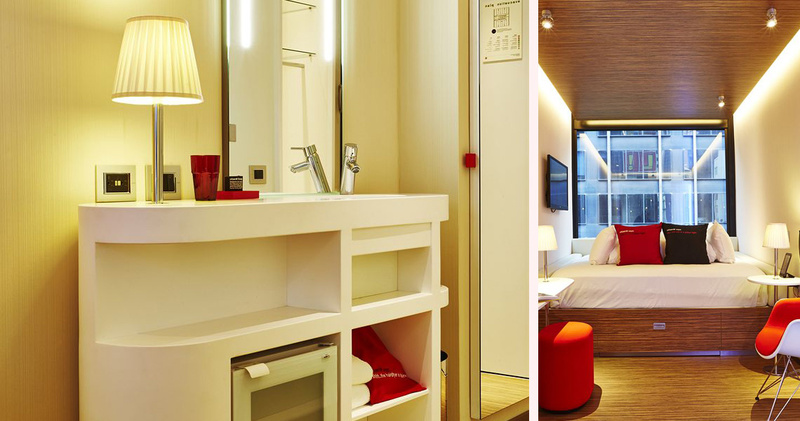 Rooms in citizenM Hotel offer a range of contemporary features. The central focus of each room are the spacious, XL king sized beds which in many rooms reach from wall to wall. Complete with a Sealy mattress and the finest Italian linen, these enormous beds offer guests the ultimate in sleeping comfort. 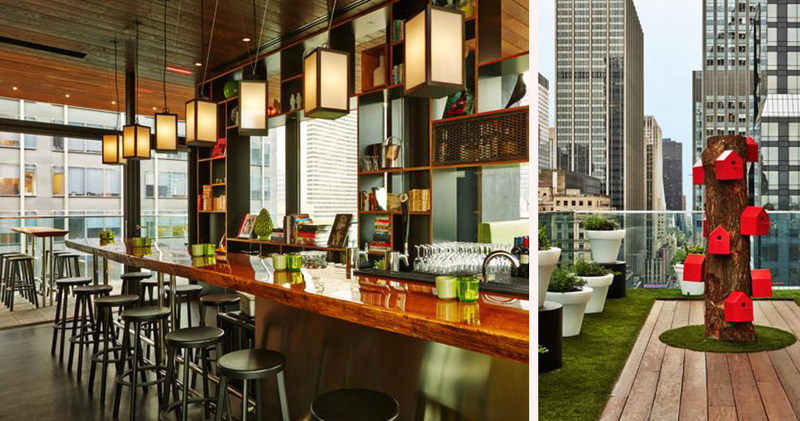 Vast, floor to ceiling windows cover an entire wall in each room, providing striking panoramic views of Midtown Manhattan and beyond, and the unique Table Mood Pad device allows guests to have control of the entire room, from the coloured lighting to the television. 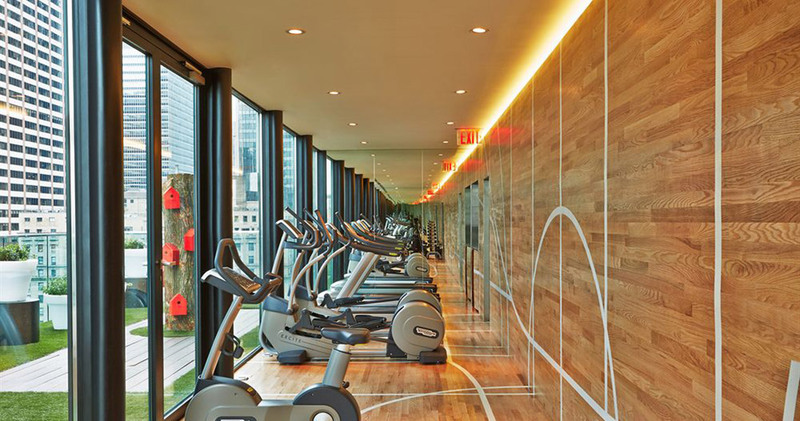 The bathrooms come complete with Comme des Garçons, Viktor & Rolf and Helmut Lang amenities, and the powerful, high-pressure showers offer an fresh start to the day. 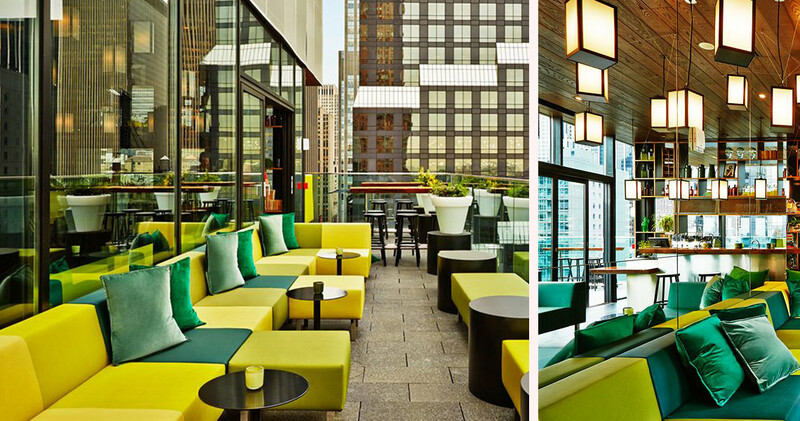 canteenM is located on-site, and is a 24-hour cafe that serves light meals and snacks, as well as coffee and alcoholic beverages.